Sell tickets online. No ticket fees, no fuss. 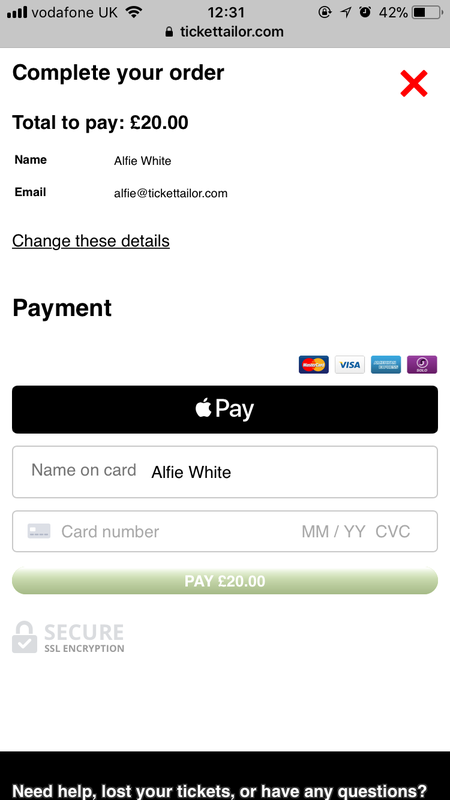 If you are using Ticket Tailor and Stripe for selling tickets then we have some good news for you. 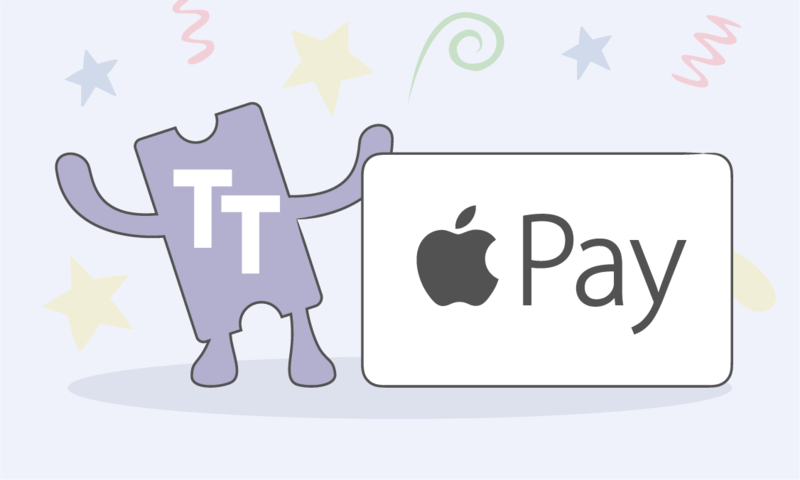 You can now make payments more convenient than ever by activating Apple Pay. With Apple Pay activated, your customers on iPhones or Macs with Touch ID can pay with the touch of a fingerprint rather than entering their card details. You will see the payment come through to your Stripe account as normal. A quick tap of the finger-print and a second later they are done. 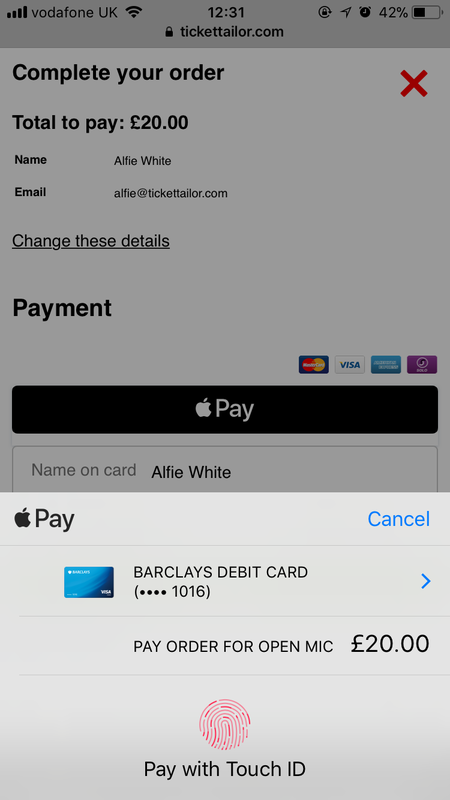 Click here to learn how to enable Apple Pay for your sales. The #1 ticket selling platform with low fees. Fully featured and easy to use for events of all sizes.